My list for this year is looking kind of daunting. I haven't even managed to sort these, yet. Edit Matt Franks' Freddy Tampa story for Tom's WHAP noir thing. I can't even grouse about this being dumped on me, because I volunteered. I saw gleams of coolness in this story that I was afraid another editor would smudge. Maybe I won't do any better. We'll see. Finish Qalidar Old School, my conversion of Qalidar to the old style D&D variants, Peryton RPG, and Tunnels & Trolls. I'm more than halfway done with this and originally stopped because I was hit with an overwhelming urge to write a T&T adventure (see a few steps down). Then I had to prep my Christmas adventure for my trip to Arkansas. Finish Peryton Basic PDF and get a Peryton RPG character sheet up for free on the DriveThru site. I'm almost finished with this, if not completely. I want to release it all simultaneously with Qalidar Old School, though, so it waits. Gen Con business. Lodging arrangements, registration, all that stuff. Same deal for BASH Con in Toledo and a room for the Troll Hoot somewhere near Columbus. Finish the short, untitled Tunnels & Trolls adventure that I started in the middle of something else I was supposed to be doing. 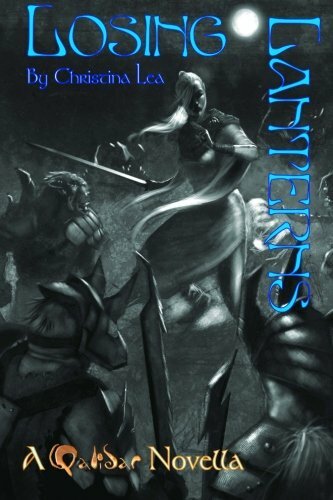 Finish the also-untitled werewolf adventure or another one for Swords & Wizardry (etc.) which, again, I abandoned for questionable reasons late in 2009. Finish the book of True20 critters for Qalidar. Write the Aqua Teen Hunger Force scenario for POW! that I'll be running at Gen Con this year. Write the Qalidar/Keep on the Borderlands scenario for True20 that I'll be running at Gen Con this year. Write an adventure for the T&T Halloween collection we're doing. Find an editor for the Peryton Magazine/Newsletter/Bulletin/Whatever. Must be cheap, brilliant, and willing to take abuse. Cook up some small freebies and/or cheapies for Peryton RPG. Someday maybe Isun (T&T) and Loar, which have been promised for, like, ever and may once again be put off. Maybe do something with that Ezren story that I started back in... whenever. 2001, I think. 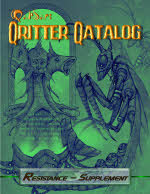 The most important one to get done is probably the Qalidar critters book, but I'm thinking maybe a low-hanging fruit approach might be the best way to get started. The easiest stuff to pick off would be BASH Con, Freddy Tampa, Qalidar Old School, and Peryton Basic. I ought to be able to get BASH Con and Freddy Tampa done tonight.